The best weather map is only getting better. Sferic Maps now has three, new layers that will assist decision-makers at organizations like airports, golf courses, and schools. These layers include an animated forecast radar, significant river outlook, and flash flood guidance. You can learn more about these new U.S. layers and how they can help your organization by watching the video below and reading the rest of this article. 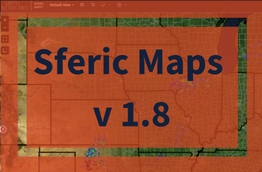 If you aren’t a current user of Sferic Maps and would like to try it out, you can get a free trial today. Just click the link below to get started. 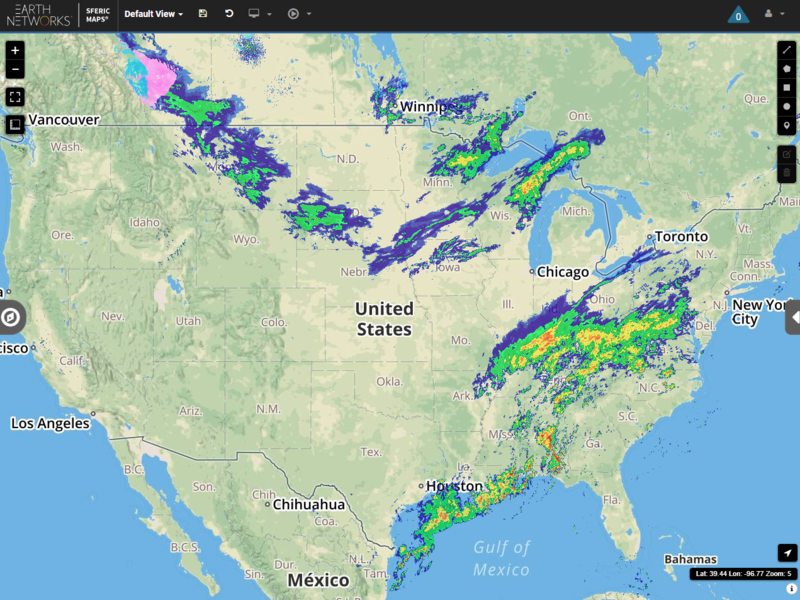 One of the most useful improvements to Sferic Maps is the new forecast radar layer. The forecast radar layer is a great way to see where it will rain in the near future. You can access this layer in the Map Layers section of the interface under the Radar & Satellite section. Once you select this layer, you can animate it in the User Layers section by pressing the play button. This data layer forecasts precipitation for the next 2 hours in 10-minute intervals. 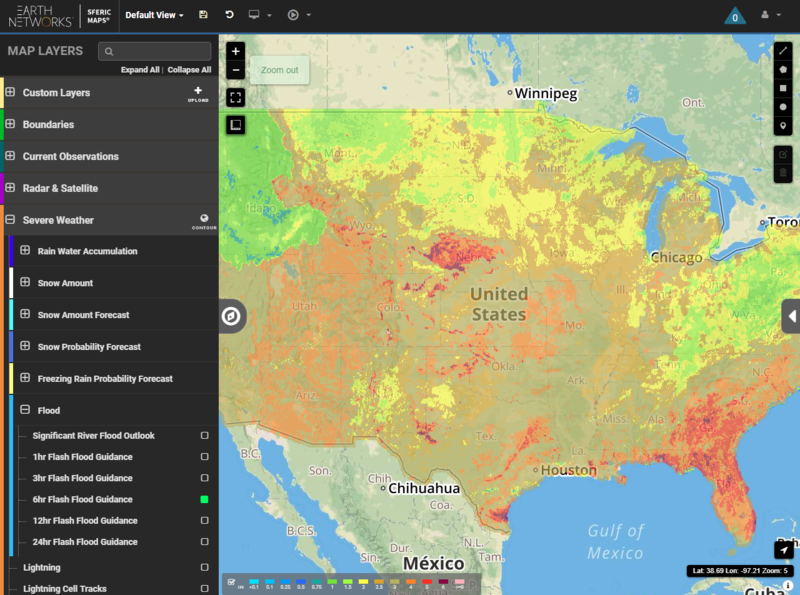 This animated layer is a great tool for decision-makers at all sorts of organizations to help make the right call when wet weather is on the way. There are also two new flood-related layers to help you prepare for everything Mother Nature has in store. The first is our Significant River Outlook. The Significant River Outlook layer provides a general outlook for significant river flooding. We gather the data for this layer from the National Weather Service Hydrometeorological Prediction Center. 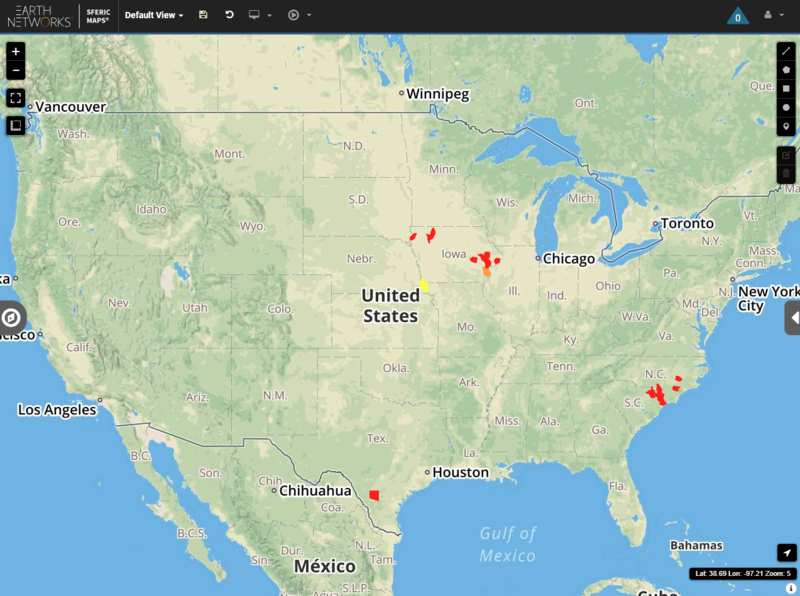 Current Sferic Maps users can access this layer by activating it in the Map Layers section under Severe Weather, Flood. It’s easy for you to understand and use this layer. Let’s take a look at the three warnings. Red areas on the map indicate occurring or imminent significant flooding. The next layer is orange and indicates likely significant river flooding. The NWS bases this information on weather conditions and activates these warnings when those weather conditions indicated significant flooding can be expected during the outlook period. Finally, the yellow layer stands for possible river flooding. When the layer is yellow, such flooding is neither certain nor imminent. It’s important to note that this flood outlook is not intended to depict all areas of minor flooding or small-scale events such as localized flooding or flash flooding. That’s where our new flash flooding layers come in. When severe weather like thunderstorms and hurricanes approach an area, many people and businesses focus on high winds, lightning strikes, hail, and tornadoes. However, flash flooding is often the most dangerous impact of a severe weather system. According to the 30 year average, no other natural disaster has taken more lives each year than flooding. Our meteorologists stress time and time again about the dangers of moving water. Just 6 inches of fast-moving flood water can knock over an adult and it takes just 1-2 feet of water to carry away most vehicles. This new flash flood guidance layer should help you and your organization protect guests, staff, and infrastructure from flash flooding hazards. These layers estimate the average number of inches of rainfall for given durations required to produce flash flooding. The NWS River Forecast Centers provide this data by county. The guidance is based on current soil moisture conditions. However, it’s important to note that in urban areas, less rainfall is required to produce flash flooding. Selections are available for 1, 3, 6, 12, and 24 hour durations. 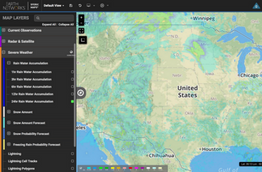 You can choose these layers from the Severe Weather section of Map Layers, under flood. If you’re a current or perspective user of Sferic Maps, please let us know what new layers or improvements you’d like to see in the comments below.